In remote villages and deep hinterland of India, installing and maintaining an ATM machine is a huge challenge. But banking needs to be spread and rural population are demanding easier methods of withdrawing and depositing cash. 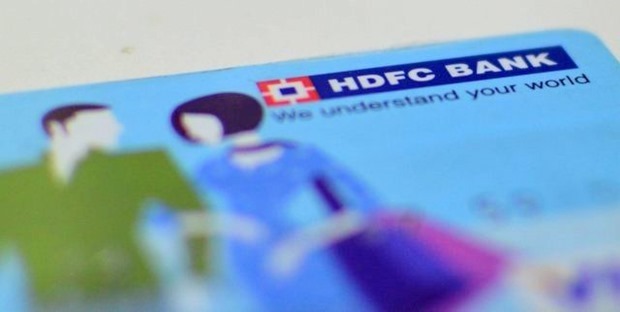 HDFC Bank has come up with a unique solution for this problem: handheld devices with biometric verification which can deliver all the services which are expected from a traditional ATM. Infact, as a pilot project, HDFC Bank had been using such handheld devices in rural areas since October, 2014, and as per the bank, more than Rs 1 crore worth of transactions have already been accomplished using 1550 of such handheld devices. 11 lakh customers are currently performing 90,000+ transactions every month using this new system. From 1550 handheld devices currently in action, HDFC Bank will roll out 3000+ devices by October, 2015. Bank officials or designated personals would carry these handheld devices in those areas where ATMs are not present. It works just like the swipe machines currently being used at shopping malls, restaurants and retail outlets, where the customer’s debit or credit card is used for accepting payment. With handheld ATMs, there is a provision for biometric authentication using Aadhar Card, wherein the finger prints of the customer would be used for instant eKYC (Know your customer) check. This eKYC method will be soon introduced at 16 ultra small branches, having one or two employees and in the next 3 months, this is will be introduced across 300 such branches in rural areas. HDFC Bank is also collaborating with Gramin Banking Officers (GBO) to take this new paradigm of banking even further. This pilot project of collaborating with GBOs is currently on at Punjab, hence the reference of Gurudwara which acts as the common meeting ground for the whole village. What Can These Micro ATMs Do? These handheld devices, or micro ATMs can perform almost every activity which a full-fledged ATM is supposed to do, along with some additional functions: cash withdrawal, cash deposit, account statement, fund transfer, disbursement of preapproved loans, payment to pensioners, availing direct benefit transfers under MGNREGA and more such banking operations. In fact, HDFC also has plans to use these devices in urban locations, where the bank branch is overcrowded with customers or ATM is not working. The new eKYC protocol can also be used to verify new customers from villages, who doesn’t have address verification or ID proof. Their fingerprints along with Aadhar Card would now be sufficient. There are two major challenges with such micro-ATM format: network connectivity and fingerprints. In order to get connected with the UIDAI server, the device needs Internet connection; and this can be a major obstacle in expanding the services. HDFC Bank is in talks with telecom operators to provide them extensive coverage in such areas. The other major problem is the consistency of fingerprints. Usually, farmers and laborers tend to get their skin on their palm thickened, due to which the finger prints get changed and it becomes difficult to verify. SBI had introduced a similar concept called Chota ATM, which enabled formation of myriad Point of Sales terminus across rural areas, which can work as ATMs as well. ICICI Bank’s Digital Village project at Gujarat is yet another initiative to expand banking in rural areas. Despite challenges, it is heartening to see that not only public but private banks are also taking huge leaps in changing the banking rules to enable more rural engagement and participation. "HDFC Bank’s Handheld Micro ATMs With Biometric Verification Can Change Rural Banking In India For Ever", 5 out of 5 based on 1 ratings. 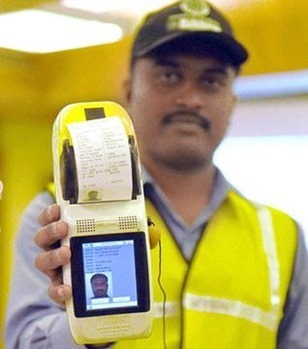 The solution of your fingerprint problem can be solved by SCANNING THE EYES of farmers and labourers, so you can use eye scanner technique. as eyes scanning is also used in AADHAR card.